As a kid, one of my favorite parts of the back to school season was shopping for a fun back to school outfit! As a mom, I think I love this part just as much, if not more! There is truly nothing more fun for me than putting together the perfect back to school outfit! I love finding just the right styles, colors and prints that will help my kids feel confident and ready to take on the year. And hey, if they get voted best dressed? That's cool too! But how do we find that perfect back to school outfit? Today, I am sharing a few tips with you to send your kids back to school in style! First and foremost, you must make sure you're sticking to your child's school dress code! You could put your child in the cutest outfit in the world, but it's it's against dress code... well, there really wouldn't be much point! We want our kids to look cute, but don't forget they're still kids. From sitting in class to playing at recess, you don't want an uncomfortable outfit to hold them back. Thankfully, most kids' fashions keep comfort in mind, but keep materials and fit in mind as you shop. A quick look in my kids' wardrobes would reveal that I love color! We love incorporating lots of bright colors into their outfits. Try mixing and matching bright colors and bold prints for a fun, one of a kind look. I feel like as kids, this is truly their time to have fun and be bold with cute prints... they have their whole lives for all those neutrals! A simple bracelet or cute headband can take a simple outfit and make it even better... so again, have fun with it! Get some matching headbands to go with favorite dresses, and have some more neutral options available too! Okay, I'll admit... I love dressing my kids up how I want them to dress, which is fun when they're little... but for older kids going back to school, make sure whatever outfit they choose truly reflects their individual style! For my daughter that means DRESSES. The prettier and girlier the BETTER. To be honest, she'd probably wear her princess dresses to school next year if we let her. While that may not be an option, we can find pretty back to school options that are perhaps a little more practical--- while still having all those girly elements she loves. 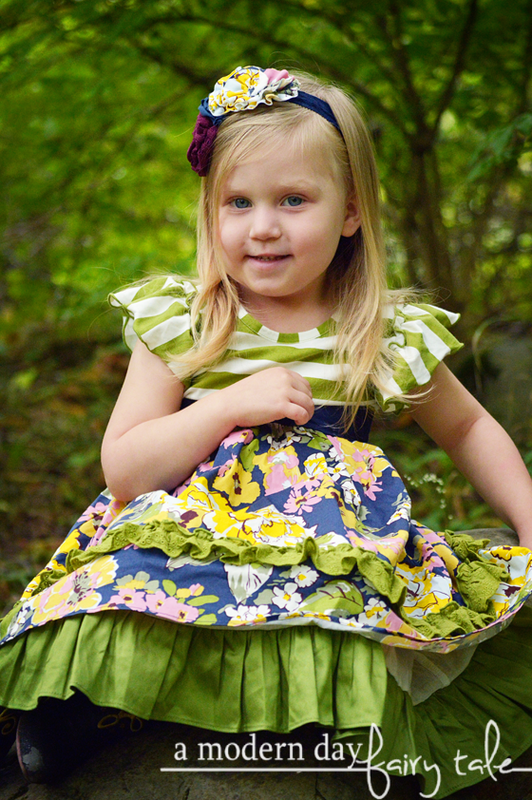 From toddler to tween dresses, we love all of the beautiful styles available at LaBella Flora Children's Boutique. LaBella Flora offers a variety of stunning designs for little girls who love that little something extra. They've got the ruffles, they've got the bold prints, they've got the flowers and the headbands. They have just what you need to make your little girl feel like the best dressed girl at school--- because chances are- she WILL be! They offer many great brands, but my daughter and I instantly fell in love with Doll Baby Clothes. 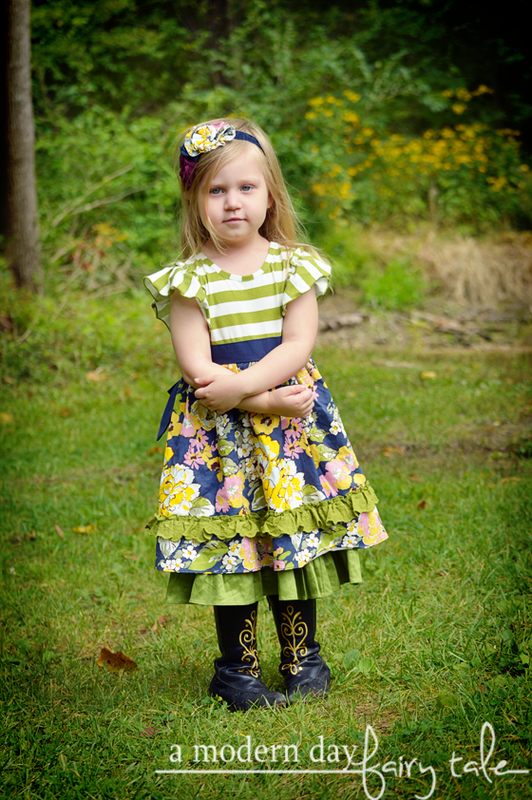 More specifically this adorable DollBaby Girls Back To School Dress. Oh my goodness. Adorable, right? I loved the beautiful blending of patterns and colors... it was so effortlessly beautiful. You know that look you get when you just FEEL beautiful because you're wearing a pretty dress? Yes, THIS is the look my daughter had the entire time. She felt like a princess and she looked like one too. It had all of those girly details that she loved, but it was still comfortable enough that she could move, play...even roll down a hill in. 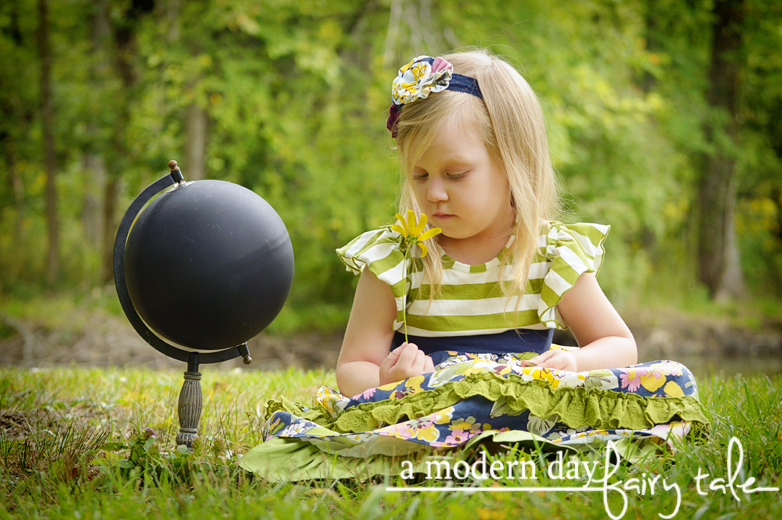 From a mama's standpoint, it was a high quality dress that I felt confident would not be destroyed in doing so. Love the prints, but have a girl who doesn't love the frilly dresses? DollBaby also offers other great pieces in this same style! Leggings and a tunic, or a super fun jumper? There's even a jacket that could be great with a simple pair of jeans. I couldn't help but think these coordinating outfits would be ideal for sister photos too! Do you have a little girl who loves fashion? Which dresses/outfits from LaBella Flora Children's Boutique does she love?